We bring the updated mod that will make you suffer with meteorites. Falling Meteors 1.7.2 and 1.7.10 is a mod that will be responsible of hit your wolrd using meteorites, but not only will do this, because when them fall down, they will cause an explosion. After this explosion will be a new material on the surface, which can be undermine and then crafted in various things. We should pick up quickly this material because once the material has cooled it no longer serve us. At first, we can make armor that also protects us from heat and tools and weapons with magnetic properties. Remember that you can protect yourself from meteorites crafting a block called “Meteor Shield Block”. 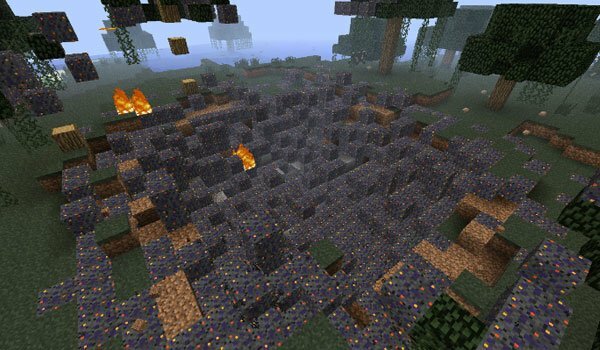 How to install Falling Meteors Mod for Minecraft 1.7.2 and 1.7.10?